Founded in 1965, Charles River Associates’s Swiss office focuses exclusively on the life sciences industry, serving clients (pharmaceutical and biotech companies as well as regulatory agencies and governments) across the country, as well as globally. The company's consultants combine uncommon analytical rigour with practical experience and in-depth understanding of industries and markets. Get to know CRA and the unique spirit of its consultants. Please join us for a presentation and table discussion with consultants from CRA followed by an Apéro on Wednesday, April 17th, at 6:00 pm in Basel. You will have the chance to network with like-minded people and experts, ask the consultants questions and learn about the daily-life of a management consultant in an interactive and relaxed atmosphere. CRA are actively hiring at the moment, therefore the event is a great chance to learn more about the company and to get to know the people! Send your CV to info@graduateconsultingclub.org. Application deadline is the 14th of April 6pm. You will receive a confirmation of participation for the event latest on the 15th of April. Address of the venue will be communicated to successful candidates. Bain Workshop "How to Crack the Case"
Sie sind erfolgreich im Studium und möchten genauso erfolgreich in Ihren Vorstellungsgesprächen sein? Wir helfen Ihnen dabei! In unserem Workshop lernen Sie anhand einer exemplarischen Fallstudie, wie Sie die unterschiedlichen Phasen einer Bewerbung erfolgreich durchlaufen. Der Fokus des Workshops wird auf Case Interviews und den branchenspezifischen Besonderheiten von Unternehmensberatungen liegen. Stellen Sie bei einem gemeinsamen Apéro im Anschluss Ihre individuellen Fragen und machen Sie sich ein eigenes Bild von unserer Projektarbeit sowie den Einstiegsmöglichkeiten in eine einzigartige Karriere. Diese Veranstaltung richtet sich an deutschsprachige Mitglieder des Graduate Consulting Clubs der ETH Zürich. Bewerben Sie sich inklusive CV und Notenangaben bis Dienstag, den 2. April 2019 hier. Wir freuen uns darauf, Sie persönlich kennenzulernen! We are excited to invite you for an exclusive event with our gold partner A.T. Kearney! In this workshop, you will learn how to deliver powerful presentations. The consultants will share skills and tips proven effective over a range of international projects. Afterwards, you will have the chance to engage with the consultants at an Apero. There you can gain insights into the daily life of a consultant and discuss personal career options as well as perspectives to join the best team! The event will take place on April 5th at 14:00 in the A.T. Kearney Zurich office. To apply, email info@graduateconsultingclub.org with your CV and a motivational statement of less than 200 words. The application deadline is midnight March 29th. Our Gold Partners, PwC invite you to PwC’s Women’s Way on the 21st of March, 2019, 13:00 - 18:00. 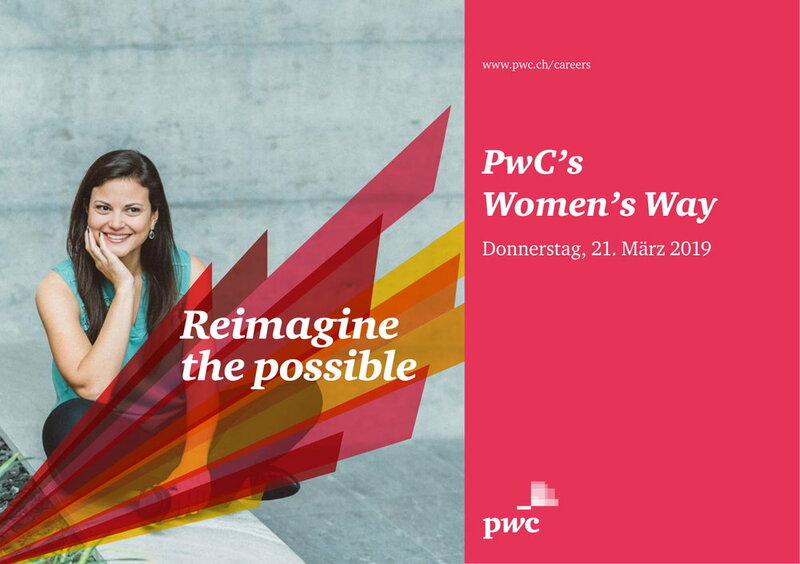 Take the opportunity to meet inspiring and successful women at PwC's Women's Way in an interactive panel discussion and receive valuable career tips. Develop your social skills in their workshops on presentation competence and resilience and make valuable contacts with PwC employees at the subsequent aperitif. Register online as soon as possible, registration closes on 14.03.2019. The number of participants is limited. Please note the event will be held in German. We would like to invite you do a Life Science Case study together with our gold partners PwC in Basel on Wednesday, 20th of March at 17.30. The location is Floor 13, Klingelbergstrasse 61, 4056 Basel. The evening will start with a short introduction from PwC and afterwards from 18:00 until 20:00 you will deep dive into the case. The event will end with a relaxing Apero where you will get the chance to interact with PwC consultants, ask your questions and learn more about their experience. To register, please fill in the short form here. There are 25 spots available, first come, first served. We would like to invite you to a special Zurich case workshop on Monday, February 25th, at 7PM in ETH HG D3.2. Instead of our usual Monday event, consultants from the management consulting firm A.T. Kearney will host a case workshop. This workshop consists of three components. First, they will briefly introduce the firm. Second, students pair up to give each other a case. Meanwhile, the consultants will visit each group and give personalized feedback. Their expert feedback will help you in your professional development either you are new to or experienced in case practice. Therefore, take advantage of this excellent opportunity! Afterwards, an Apéro will be served. The consultants are happy to answer everything you'd like to know about A.T. Kearney and consulting life! To apply, please fill out this link. It's first come first served. Only 14 spots are available, so you are encouraged to apply quickly. ARCONDIS (https://www.arcondis.com/en/) is the largest consulting company exclusively specialized in the life sciences industry in the DACH-region. ARCONDIS strength lies in the connectivity of our longstanding experience in life sciences with our expertise of services in Quality, Compliance, Business Transformation and IT Management across all customers, departments and project phases. With a strong focus on customer satisfaction, strategic-oriented problem solving and our teams of diverse backgrounds ARCONDIS is constantly growing and serves many customers from big pharma to smaller companies. Get to know ARCONDIS, and the unique spirit of its consultants. Please join us for a presentation (which will be held in German) and a Q&A session followed by an Apéro on Tuesday, December 4th, at 5:30 pm at the SkyLounge, Klingelbergstrasse 61, 4056 Basel. You will have the chance to network with like-minded people and experts, ask the consultants questions and learn about the daily-life of a management consultant in life science in an interactive, relaxed atmosphere. We cordially invite you to a special Monday workshop on Nov. 26th from 19:00 to 22:00 with Charles River Associates! CRA is a leading global consulting firm that offers economic, financial, and strategic expertise to major law firms, corporations, accounting firms, and governments around the world. CRA’s Swiss office focuses exclusively on the life sciences industry, serving clients (pharmaceutical and biotech companies as well as regulatory agencies and governments) across the country as well as globally. Currently the firm is actively recruiting. So be sure to check out this amazing opportunity! We were very excited to have a podium discussion about Data Science in Industry on Wednesday, 21st of November. The evening was a success; initially the event was planned for 50 participants but as registrations kept flowing in a new venue was booked to accommodate all registrations. In total, we counted 163 registrations and show up rate of about 80%. Our audience was mostly from ETH (90%) with a strong representation of the Computer Science department (more than 25%). Dr. Rebekka Burkholz, the moderator, is a mathematician and physicist by training and holds a PhD in systemic risks. Her task for the night was to keep the panel discussion flowing from one topic to the next and tease the speakers with challenging questions for our audience to gain insights in the data science industry. Dr. Pavlin Mavrodiev, Data Scientist at Migros, combines education in electrical engineering and computer science. This broad knowledge led him to work as a software engineer at SAP, scigility, and hyperloop transportation technologies. Dr. Sandro Saitta, who works as Chief Industry Advisor at the Swiss Data Science Center, gathered experience in various industries: Finance, Telco, Chemicals, Online Travel and Fast-Moving Consumer Goods. Dr. Thomas Wiatowski, a Senior Data Scientist at Zühlke and mathematician by training, consults companies on bringing machine learning, artificial intelligence and data analytics to production. Laetitia, the main organizer of this event, welcomed the participants with a presentation about the GCC’s vision and services, she introduced the panelists, and gave the word to Rebekka. The discussion was kicked off by seeking to define the term “data science”. Thomas described data science as an interdisciplinary field, agnostic with respect to size, source, and form of the data; a field in which mathematical tools are combined to domain knowledge with the goal of creating value. Data scientists need to, therefore, actively communicate with stakeholders within a project. Pavlin, in turn, described the field of data science science as “statistics with programming”. The diversity and complementarity of opinions in the panel reflected in the whole discussion. Next, the panelists provided an overview of their tasks and responsibilities. In data science groups incorporated in firms, the vagueness in the understanding - sometimes definition - of the competences expected from data scientists can be a source of confusion. In these context, stakeholders are generally non-data scientists who have little understanding of what data science is. They do not anticipate which algorithmic methods can answer their question and, hence, data scientist are also assigned reposting tasks which actually should be tackled by the business intelligence unit. In the discussion about current trends in the data science industry, Pavlin shared his trust and love for the programming language Bash. He reminded the crowd several times of the essential role that the language plays in solving day-to-day data science tasks. Finally, all-round advices were given on how to enter the work force as the next data scientist. An apéro was opened and exciting discussions kept going until late. The GCC also invited the board of the newly founded ETH Data Analytics Club to see where overlap in interests could lead to synergistic planning of projects. The board members present enjoyed the event and were enthusiastic in discussions about potential future collaborations. We thank our supporters, in particular Rebekka, who moderated this event for us, the VSETH for the generous financial support and food&lab for welcoming is in their space and helping us with serving the apéro and the venue set-up. IQVIA (https://www.iqvia.com), formerly Quintiles IMS Holdings, Inc., is an American multinational company serving the combined industries of health information technologies and clinical research. They will be holding a networking event with the Graduate Consulting Club in Basel on the 19th of November 2018 to establish a better connection with our members. You are invited to join this nice evening to meet the consultants from IQVIA in a relaxed environment and get a peek into the benefits of working with this amazing consultancy. To apply simply send your CVs to info@graduateconsultingclub.org by 15th of November 2018. We will inform you about your participation latest by 16th of November 2018. Looking forward to seeing you there!! The Graduate Consulting Club is happy to invite you to a special and unique consulting event with our Gold Partner McKinsey&Company - a relaxing breakfast. Join us on October 26 at Fusion Coffee, ETH Hönggerberg, where several McKinsey consultants will share their experiences and interesting stories of working in a leading management consulting firm. You will have the chance to network, ask them questions and learn about the daily-life of a management consultant in an interactive, relaxed atmosphere. We are excited to invite you to a case workshop with AWK Group on Monday, 8th of September, at 7PM in ETH HG E42. Consultants from the Swiss consulting company AWK will visit us and host a case workshop. The company’s competencies range from Asset Management, through Procurement to IT and Digitalization. We will start with a presentation of AWK and a case, then you will have some time to work on the case in teams. Afterwards, you will present your solutions, get feedback, and also see what AWK’s proposed solution is. The evening will end with an Apero where you’ll get the chance to speak to the company’s representatives and get your questions answered! To apply, please fill out this link. It's on first come, first served basis. Only 20 spots are available, so you are encouraged to apply quickly. We would like to invite you to a special Zurich case workshop on *Monday, 24th of September, at 7PM in ETH HG E22*. This workshop consists of three components. First, they will briefly introduce the firm. Second, students pair up to give each other a case. Meanwhile, the consultants will visit each group and give personalized feedback. *Their expert feedback will help you in your professional development either you are new to or experienced in case practice. * Therefore, take advantage of this excellent opportunity! Afterwards, an Apéro will be served. The last year of the GCC was marked by one word – growth. After establishing itself in its first year, the club has set its course on growth in all aspects: from the number of members and companies that we work with to the activities that we offer to our members. We have more than doubled the number of members and companies we held events with and we have opened the pro-bono consulting practice which offers consulting experience to our members. Our pilot project with an ETH PhD-student organization was a tremendous success. Three projects are currently underway and three more are planned until the end of the year. On Monday, 11th of June our usual Zurich case workshop was amplified with a visit by consultants from Accenture, one of the largest consulting companies in the world with over 425 000 employees. On May 7th, 2018, Arthur D. Little hosted and together with the Graduate Consulting Club organized a tapas dinner in a cosy Spanish restaurant in Zurich. Arthur D. Little is the world’s oldest management consulting firm founded in Boston in 1886. The firm traditionally has a unique position between top-management and engineering. For example, Arthur D. Little was involved in setting up NASA's Apollo program. On March 19th, 2018 together with our Gold Partner PwC, the Graduate Consulting Club organized an event focused on the people's perception of the world around them and the skills relevant for meaningful communication with current and future colleagues and clients. On March 15th, 2018 together with McKinsey & Company, the Graduate Consulting Club organized an event focused on consulting in the context of Global Public Health. This sector stands at the intersection of many fields, such as Pharma & Life Sciences, Policy Development, Logistics and Supply Chain Management, to name a few. It offers many diverse opportunities for those interested in plotting the future direction of global well-being and the health of mankind as a whole. The sheer amount of data generated by new tools is not only an opportunity and a challenge in the scientific world but it will also change the face of some industries. In this talk by KPMG you will learn more about the company and the way healthcare consulting might change in an age of big data analytics and AI. McKinsey is organizing a two-day female-focused networking event in Thun, Switzerland, on 23.-24.11.2017. It is a great opportunity for women from accross fields and disciplines to come together, get to know each other and learn from senior McKinsey consultants. Apply and find #aplaceforyou! Follow us on LinkedIn and Facebook for news and updates. Give back and support the Graduate Consulting Club. Graduate Consulting Club. Because practice makes perfect.